Looking at Houseboats and wondering about some of the docks? Dock rules and By-Laws change, but here are some basics. The Log Foundation is a group of 3 docks at and are on the three most South Seattle Floating homes docks just North of Terry Pettus Park. The Log Foundation is a co-op. This means the submerged land that their dock is on (less the DNR leased land) is cooperatively owned by the homeowners on the dock. 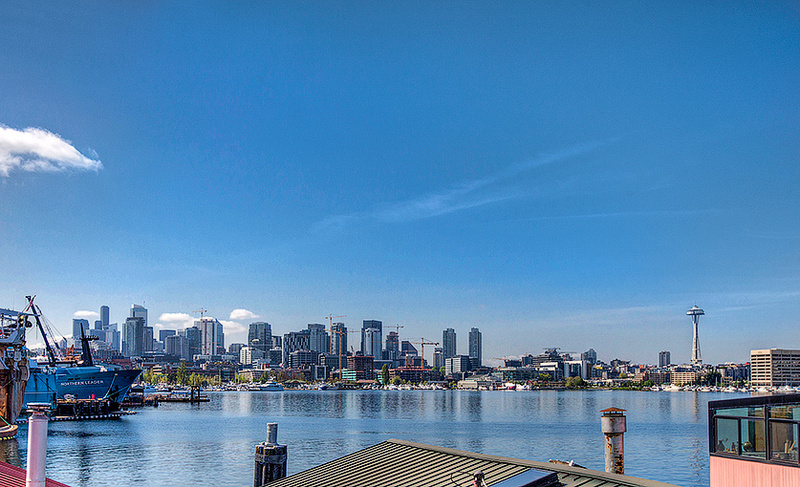 Lake Union fluctuates almost two feet and is at its lowest point in August. These three docks are not floating docks and so the houses go up and down depending on the water level in Lake Union while the dock stays the same height. This requires stepping down or up to get on and off the houseboat or the dock. Many clever home owners have come up with wonderful solutions. Houseboaters in general tend to be quite considerate and thoughtful people, but The Log Foundation has some WONDERFUL people on it and the docks have great Southerly views of the city and Space Needle. You can check for Seattle floating homes for sale on these docks by visiting our Seattle houseboats page on Cooper Jacobs.